A roadnumber variation of this model is shown for illustration purposes. Bachmann Industries, Inc. is an official licensee of Union Pacific and is authorized to use trademarks owned and/or registered by Union Pacific. 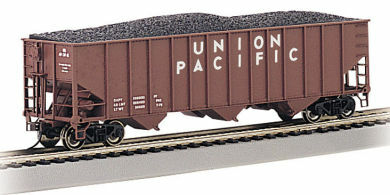 "Union Pacific" and the Union Pacific shield are registered trademarks, used under license.